India, on Friday assured Nigeria that it would look into the issues of its visa policy reforms and the extradition treaty between both countries. NAN reports that the Indian High Commissioner to Nigeria, Mr Abhay Thakur, said this when he paid a courtesy visit to the Senior Special Assistant (SSA) to the President on Foreign Affairs and Diaspora, Mrs Abike Dabiri-Erewa, in Abuja. 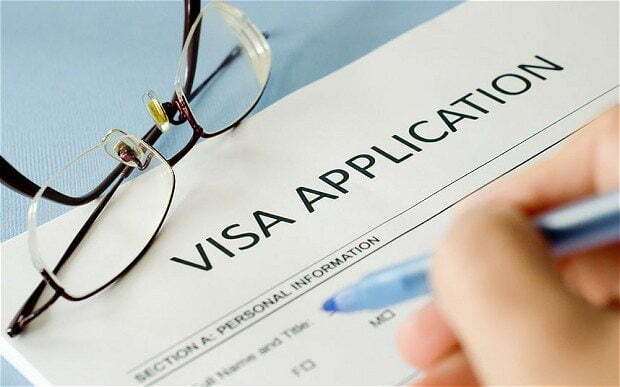 Nigerians living in India last year appealed to the Indian Government to review its visa policy for students and businessmen to facilitate trade and education for foreigners. They also appealed to the government to issue missionary visa and work permit for Nigerians who get the opportunity to work in the country. Nigeria’s High Commission in India reportedly issues an average of 500 work permits to Indians in a month and had also called on reciprocity on the part of the Indian Government. Dabiri-Erewa appealed to the high commission to look into the complaints of Nigerian citizens in India. “We know that we have Nigerians schooling in India but more often than not, when they finish their education, they are not allowed to work. “We have cases of Nigerians who go to India with the mind of staying back and they get into trouble and there is a place we were told they keep them, somewhere like a Detention Centre and they are kept there for too long a time. “Our mission in India has been trying to work out things with India to see how we can facilitate a faster return of these citizens. “We will like to know what we will do about that as we continue to strengthen relations,” she said. She also called for the extradition treaty with India which will facilitate the return of Nigerian citizens. Thakur, while responding to issues raised by Dabiri-Erewa, said that the high commission was expecting a team from India’s foreign ministry in charge of issues raised. The envoy said his government would work out regulations to address issues of concern to Nigeria. “The two issues of Nigerians in India and the visa regime that is in force has been in force over the last few years. “We are deeply cognisant over the issues that you have raised. We would be having a team from India’s foreign ministry led by the director-general in charge of the issues that you have mentioned. “We have exchanged drafts on the extradition treaty and we are moving forward; we have been approached by your ministry of justice to travel to India in June. “We welcome that visit to finalise the text of the extradition treaty. It is a very welcome development because we may have very good relations between governments and states but the people should be very comfortable in each other’s countries,” he said.